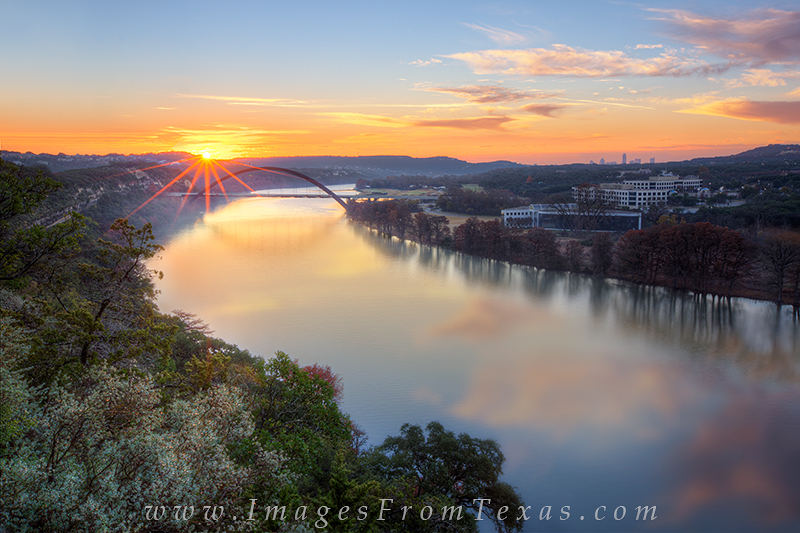 Only around December can you capture the sunrise from this vantage point - looking down the Colorado River towards the 360 Bridge and Austin, Texas. Most other months the sun is too far south to show up in this scene. Photo © copyright by Rob Greebon.